Meet selected OSDC PIRE fellows and read more about their research projects here. In 2016 OSDC PIRE was able to support project extensions for past participants to continue research with international collaborators. Read about these projects here. Meet the 2015 group of selected PIRE fellows. The 2015 group is made up of students who study computer science, software engineering, bioinformatics, genomics, biophysics, meteorology, economics, and astrophysics and will learn about data intensive science and computing around the world at a hands-on one-week workshop in Amsterdam and followed by a longer stay at one of our partnering research institutions. Read about this great group of research fellows here. Meet the 2014 group of selected PIRE fellows. Students studying computer science, bioinformatics, statistics, meteorology, analytics, telecommunications, physics, and mathematics will spend learn about data intensive science and computing using the OSDC at a hands-on one-week workshop in Amsterdam and followed by a longer stay at one of our partnering research institutions. The 2013 group of selected PIRE fellows come from a wide range of research domains. Fellows studying computer science, engineering, neuroscience, astronomy, mathematics, and bioinformatics will receive training in data science using the Open Science Data Cloud and conduct research abroad in data intensive science and computing. Read more about this group of fellows here. Twelve researchers with a variety of backgrounds, from computer science and engineering to physics and biology, make up the 2012 group of selected PIRE fellows. 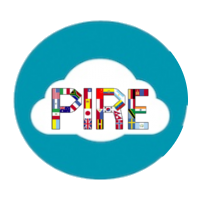 This year’s first team of PIRE researchers intends to help develop a large-scale system of distributed computing capabilities – the Open Science Data Cloud (OSDC) – to provide long term persistent storage for scientific data and state-of-the-art services for integrating, analyzing, sharing and archiving scientific data. Read about the six chosen fellows here. Find poster and paper presentations of OSDC PIRE fellows’ research projects on the presentations page.